Tina Turner, born Anna Mae Bullock, is a singer and actress whose career has spanned more than sixty years. She has won numerous awards, including eight Grammys. Tina began her music career with her husband Ike Turner as a member of the Ike & Tina Turner Revue. Success followed with a string of hits including “River Deep, Mountain High” and “Proud Mary.” She divorced Ike in 1978 and, after virtually disappearing from the music scene for several years, rebuilt her career, launching a string of hits including her 1984 solo album Private Dancer. 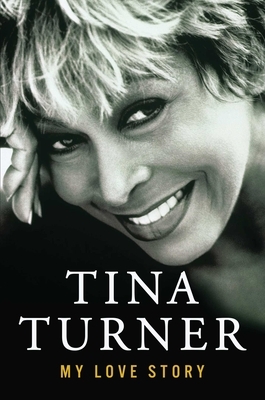 In 1986, she published a bestselling memoir I Tina which was turned into the Academy Award-nominated film What’s Love Got to Do with It in 1993. One of the world’s most popular entertainers, Tina has sold more concert tickets than any other solo music performer in history. She lives with her husband, Erwin Bach, in Zurich, Switzerland. "Full of revelations that illustrate Turner's iron will and perserverance over seemingly imporssible obstacles." "A rollicking, dishy, emotional memoir from the 78-year-old icon." "Astonishing, soul-baring - the must-read memoir by rock's greatest survivor."